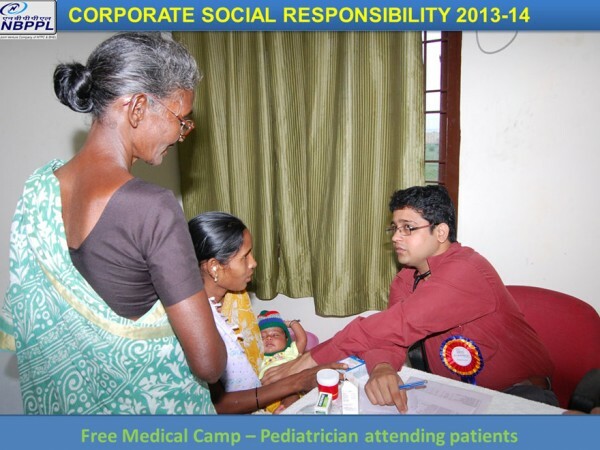 NBPPL conducted Free Medical Camp on Sunday, 17th November, 2013 for community of Mannavaram and Kalavagunta panchayats covering six villages. 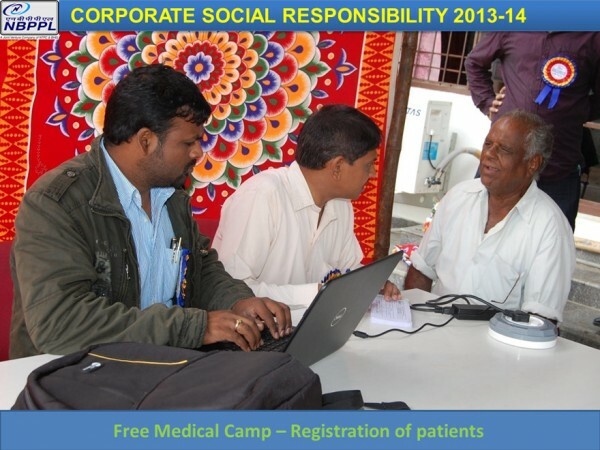 Sri Bhavaraju Srinivasa Rao, Director (Projects), NBPPL, inaugurated the medical camp. Smt. 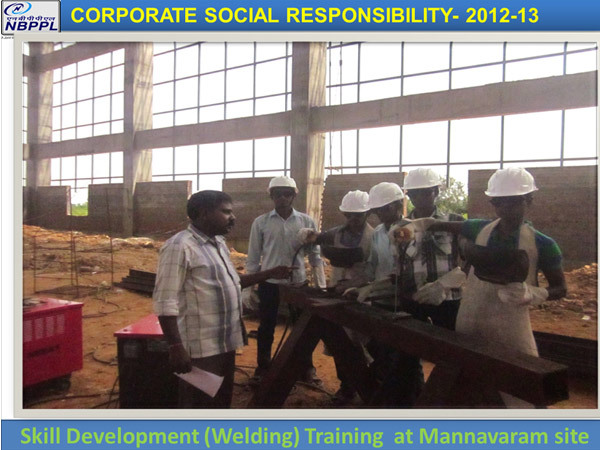 Nagapadmaja, MPDO, SriKalahasti was present on the occasion. 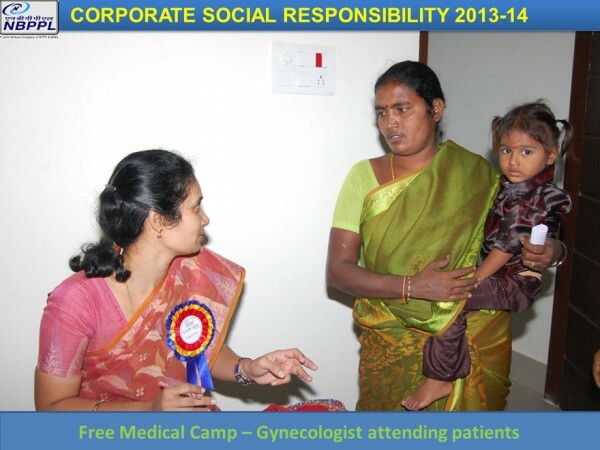 The camp was a huge success with overwhelming response from the local villagers, including women and children. Despite heavy rain, approx. 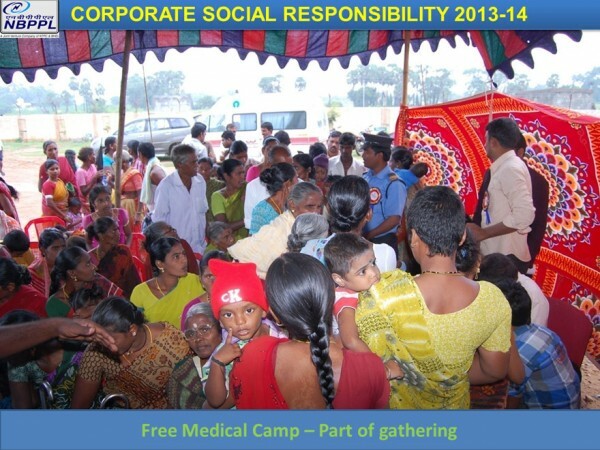 1000 local villagers attended the camp. Specialist doctors from departments of Gynecology, Pediatrics, Ophthalmology, Diabetics and General Medicine checked the patients and prescribed the medicines, which were freely distributed. Local transportation, lunch and snacks were provided to the patients. NBPPL Employees voluntarily contributed Rs.69082/- to Utharakhand Chief Minister Relief Fund for relief activities in recent flood effected areas. 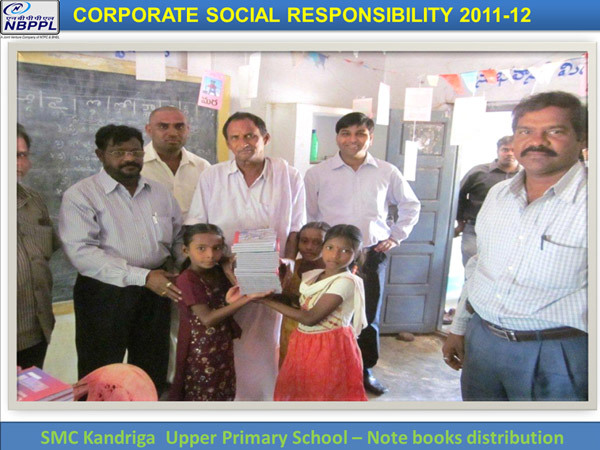 A comprehensive CSR Policy is under final stages of formulation. 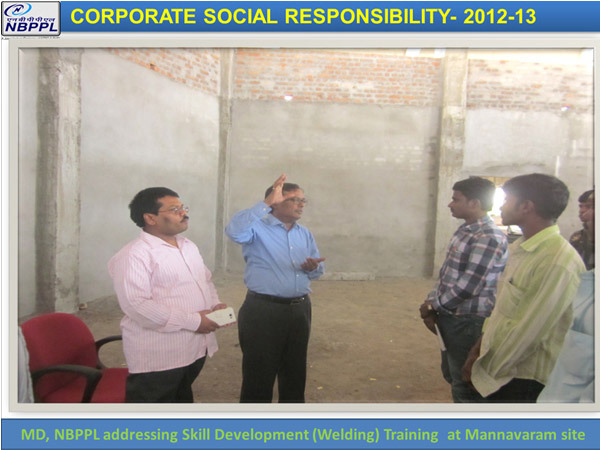 CSR-Need Assessment Survey in local areas under progress. 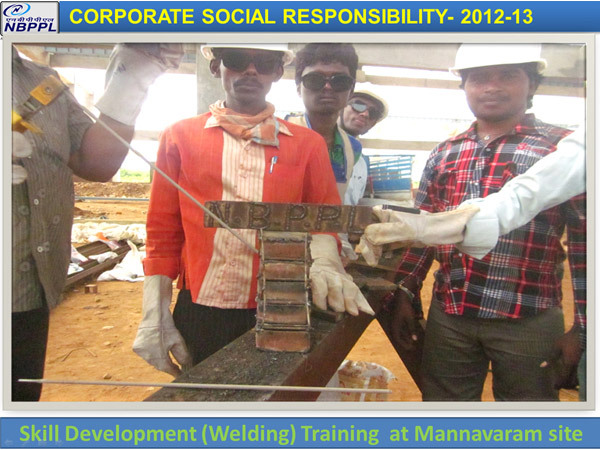 Conducted Skill Development (Welding) Training for self employment of unemployed local youth in adjoining villages. 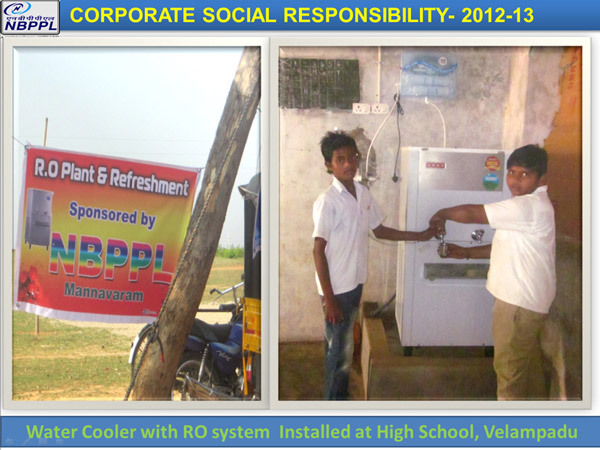 Provided Water cooler with RO system, distribution of uniforms, books etc. 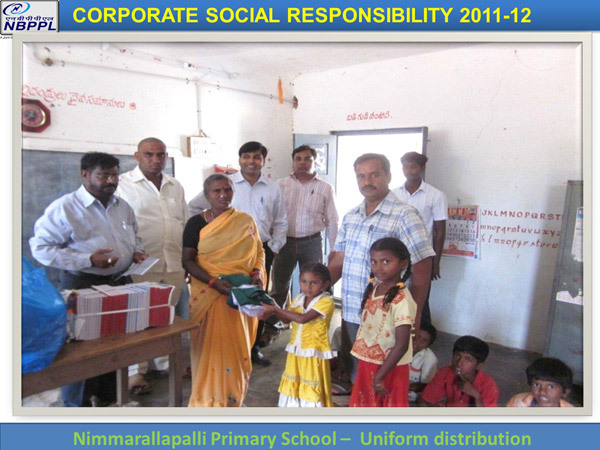 in nearby Schools. 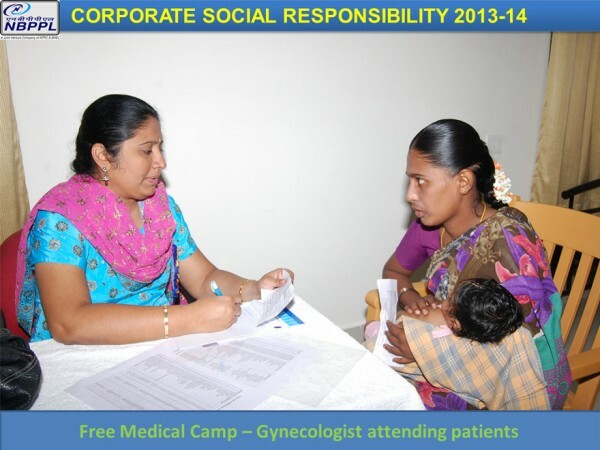 NBPPL conducted free medical health check up camp on Sunday, 17 th November, 2013 for community of Mannavaram and Kalavagunta panchayats covering six villages. 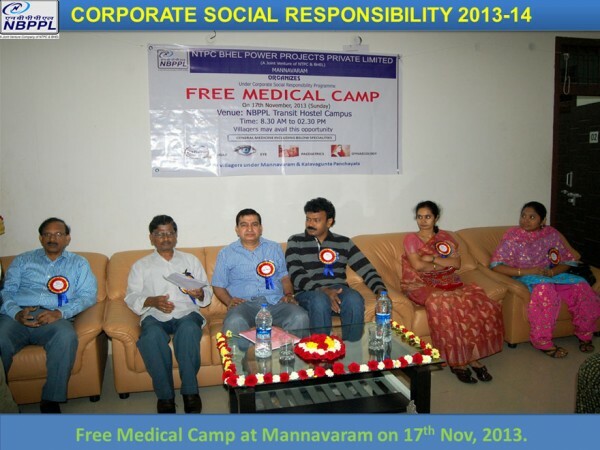 Sri Bhavaraju Srinivasa Rao, Director (Projects), NBPPL, inaugurated the medical camp. Smt. 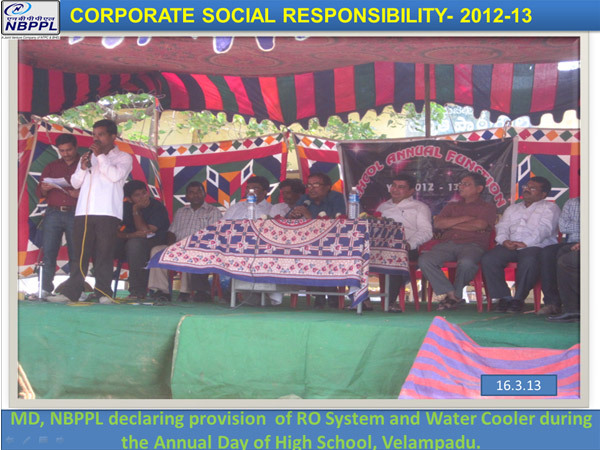 Nagapadmaja, MPDO, SriKalahasti was present on the occasion. 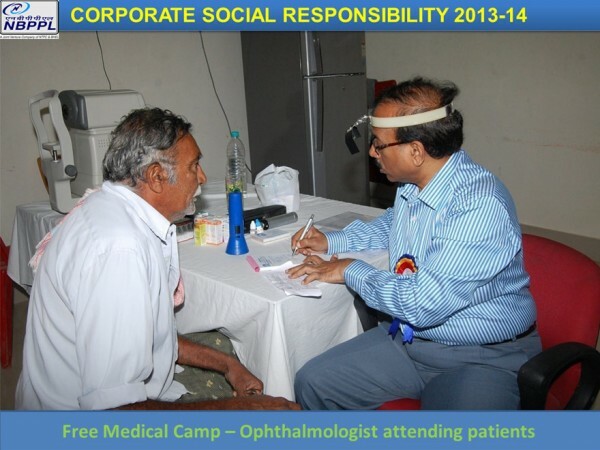 The camp was a huge success with overwhelming response from the local villagers, including women and children. Despite of heavy rain, about 1000 local villagers attended the camp. Specialist doctors from departments of Gynecology, Pediatrics, Ophthalmology, Diabetics and General Medicine checked the patients and prescribed the medicines, which were freely distributed. 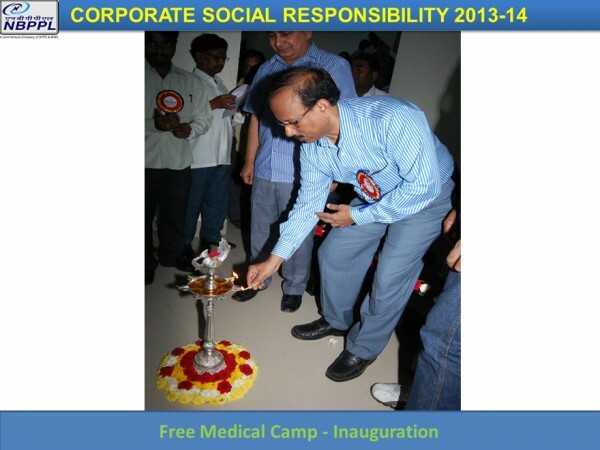 Local transportation, lunch and snacks were provided to the patients.